"Image is everything," or so the saying goes. Unfortunately, in our culture words are quickly losing their appeal. Arthur Hunt contrasts our Judeo-Christian heritage, which is word-dependent, with paganism, which is image-dependent. He warns that by exalting visual imagery we risk becoming mindless pagans and that we are open to abuse by those who exploit the image but neglect the Word. 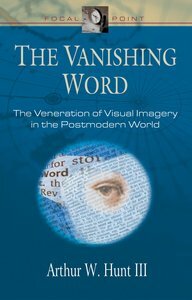 Thoughtful readers will find this a challenging call to be critical about the images around us and to affirm that "the Word is everything." 272 pages, from Good News Publishers. - Publisher. About "The Vanishing Word (Focal Point Series)"
Hunt holds a Ph.D. in communication from the University of Southern Mississippi and has been actively involved in Christian education for seventeen years. His academic training includes both speech communication and mass media communication.